Camouflage 31/10D was assigned in 10/11/43 ComServPac letter #0937 to the BuShips, however, DD-660 was sent 32/10D on 1/20/44. This is assessed to be a mistake and not a typo since DD-660 painted in Measure 32. USS Bullard (DD-660) is shown from the port side on November 11, 1944, off Hunters Point, California. This appears to be 32/10D slightly weathered using dull black and light gray. Bullard was sent drawing 32/10D on January 20, 1944, possibly by mistake, since Bullard had been assigned 31/10D and by the odd-even rule should be in Measure 31. Photo source: NARA BS 79704. USS Bullard (DD-660) in a starboard aerial view on November 16, 1944 off San Francisco. Bullard is in camouflage 32/10D; the lightest color, light gray, shows very light because it is reflective and directly down sun. The shadow of the aircraft can be seen. 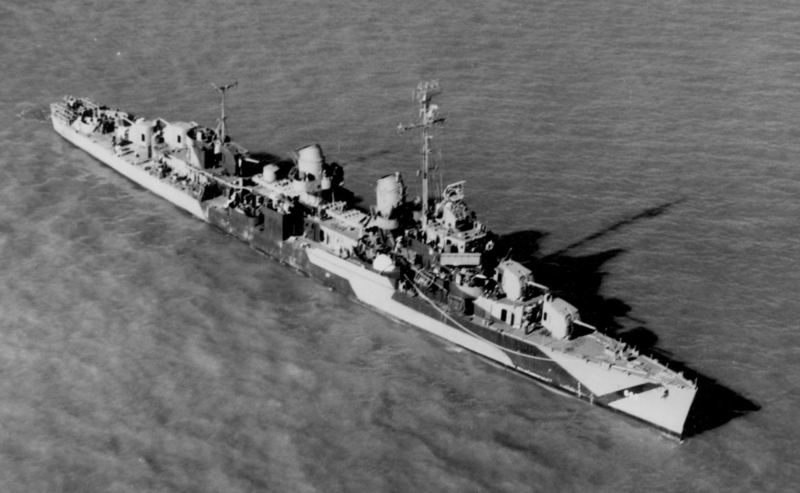 USS Bullard (DD-660) in another starboard aerial view in camouflage 32/10D on November 16, 1944 off San Francisco. Bullard also has a stub mainmast with antennas that was probably added while she was on the US west coast. 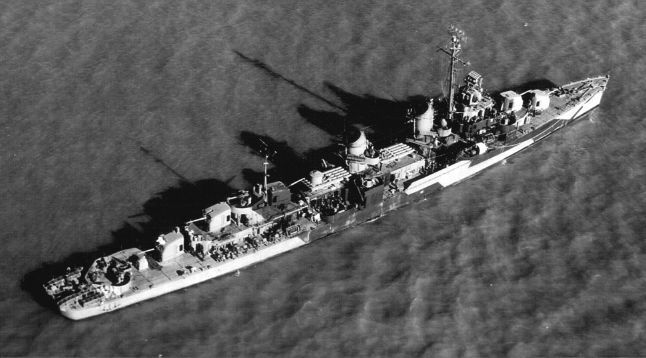 USS Bullard (DD-660) in another aerial view on November 16, 1944 off San Francisco. Bullard is in camouflage 32/10D; the lightest color, light gray, shows very light because it is reflective in this sun angle. The deck is painted solid deck blue without a pattern, which, because of the direct sunlight shows much lighter than the dull black.